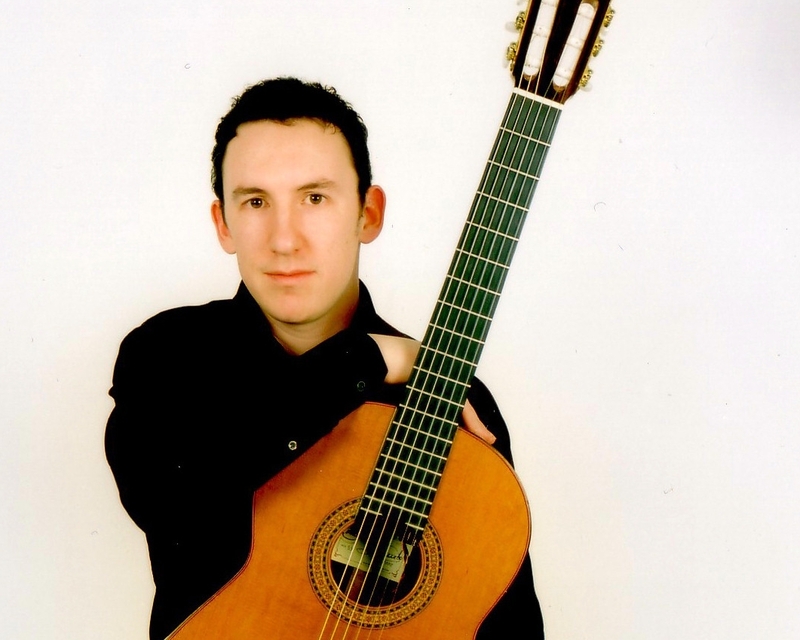 Andrew George is a highly talented professional guitarist, specialising in providing beautiful music for every occasion, from subtle background music for private functions, to full concert performances. Andrew has a large repertoire and in addition, has the ability to perform on request almost any song, providing he has heard of it! Andrew is an accomplished performer of many different guitar styles, including classical, romantic, Spanish, flamenco, Latin jazz, rock and pop. After winning several arts competitions, he gained a music scholarship with the Amersham & Wycombe Music Centre, and had reached the final for the regional Young Musician of the Year by the age of twelve. From this classical background, Andrewwent on to train at the University of Salford, gaining a degree in Popular Music and Recording. At present, Andrew is in high demand both as a concert guitarist in the UK and Europe, and for private functions, such as weddings, dinners, parties and corporate events. He has undertaken live session work in the UK for musicals such as Grease, Joseph and The Best Little Whorehouse in Texas. He is also a highly respected guitar teacher at The Royal Masonic and St Clement Danes schools, as well as the Watford School of Music. Andrew usually performs for two hours over a three-hour period. Andrew George is based in Hertfordshire. See Pricing for details of travel costs, etc. "Andrew was more than we expected, he was completely professional and went above and beyond what I expect are usual services, we would book Andrew again at the drop of a hat." "Andrew was absolutely excellent - a perfect choice for our wedding reception and wedding meal music." "Andrew was fantastic and made our wedding day perfect. He was very adaptable and played inside and out. I would definitely recommend him to others and use Function Junction again." "We had a lot of comments from guests on Andrew's playing. He was excellent. Only wish we had more time to listen." "I was impressed with the service from Function Junction - everything was very clear, straight forward, courteous and friendly. Andrew was fantastic and really created a lovely atmosphere at the reception (although the amazing sunshine we had on the day helped!) He played exactly the sort of music we wanted, and was well presented. I would definitely recommend him and Function Junction to anyone looking for live music"
"Andrew played everything we requested. I would recommend Andrew to all my friends/work colleagues! So many people commented on Andrew and said how wonderful we was. The biggest highlight was our first dance played by Mike ‘It must be Love’ - thanks Andrew!" "Thanks to Andrew for playing so beautifully at the wedding – I’m so pleased that we booked him – much better than a harp!" "Thank you so very much for playing so beautifully at our wedding. Everybody commented on how well you played and at what a special atmosphere your music gave to the ceremony. I am only sorry I wasn't in the room to hear more, but I really enjoyed the pieces you played during the signing of the register and especially appreciate you taking the time to learn Here Comes The Sun. It really wouldn't have been half as nice without you there and we are so pleased that you were! I very much hope that we will have the opportunity to hire you again in the future and until then send you all best wishes and many many thanks again"